Jean Kwok is the New York Times and international bestselling author of Girl in Translation and Mambo in Chinatown. 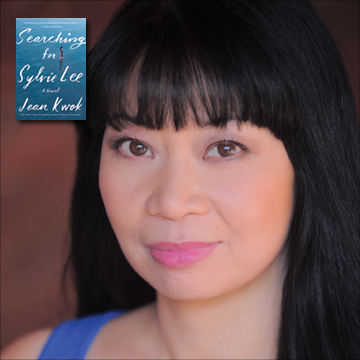 Her latest book, Searching for Sylvie Lee, was named a ‘Most Anticipated Book of 2019’ by Marie Claire, Nylon, Huffington Post, Book Riot, and more. This poignant and suspenseful drama untangles the complicated ties binding three women – two sisters and their mother - in one Chinese immigrant family and what happens when the eldest daughter disappears. Kwok has been selected for numerous honors, including the American Library Association Alex Award, the Chinese American Librarians Association Best Book Award and the Sunday Times EFG Short Story Award international shortlist.